February 20,2014- PA K9 Assistance Foundation wins a new 2014 Toyota Sienna courtesy of the Toyota-100 Cars for Good campaign and Thompson Toyota in Doylestown PA. See the below video. July 18,2013- Montgomery County District Attorney Office Donation to PA K9 Assistance Foundation. See video below. 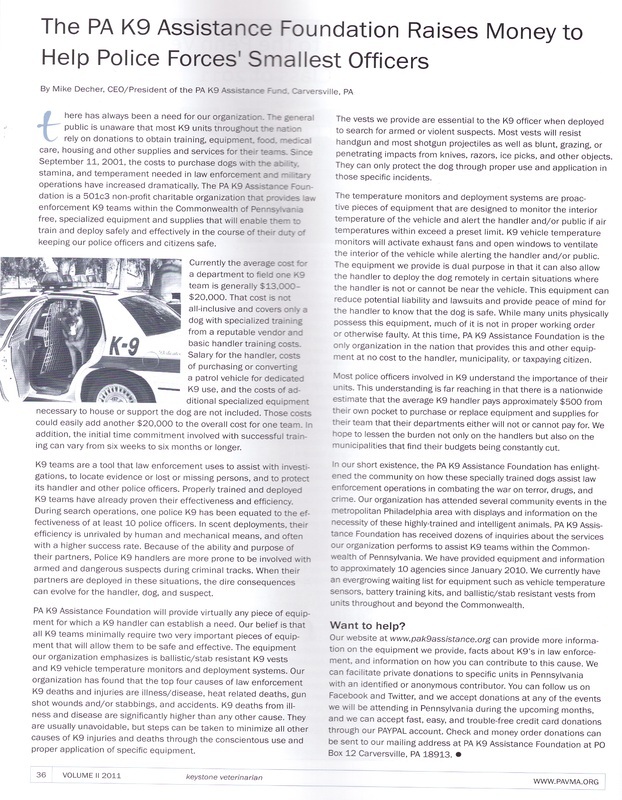 By George Mattar Staff writer Calkins Media, Inc.
that will alert a K-9 officer that he or shes vehicle is too hot for their dog. crowd how police dogs work. In June, a police K-9 in New Castle, Pa., was left in a car during an investigation and the temperature inside soared. It got so hot inside the car, the dog died, said Northampton Officer Mike Decher, who wanted to make sure it didn't happen again. 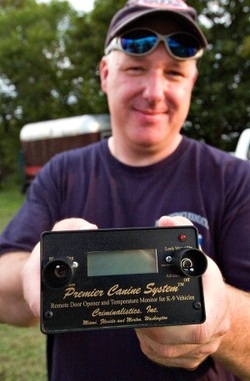 On Thursday at the Middletown Grange Fair, Decher and his wife, Kim, who operate PA K-9 Assistance presented two heat-sensing machines to the Middletown police department. These units are the most important equipment a K-9 can have, Decher told a large audience, which stopped to watch a K-9 demonstration at the fairs horse corral. 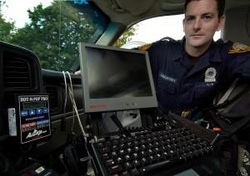 The units, which cost $1,000 each and are made by the Ray Allen Co. in Colorado, mount in a police cruiser and can monitor how hot or cold the interior of the vehicle is, Decher said. When it gets either too hot or cold, the sensor trips and sounds an alarm alerting the officer and if too hot, actually rolls down the vehicles windows, Decher added. Middletown K-9 Officer Jeff Swenson said he used to have a sensor in his patrol vehicle, but it broke about five years ago. He was glad to receive a new one Thursday. It can get very hot inside the car and if I have to leave Max alone, then I will have the assurance to know hes OK. It can get more than 100 degrees inside the car, Swenson said. Falls K-9 Officer Jim McCaffrey, who attended Thursdays event, has a heat sensing machine mounted in his Chevy Tahoe police vehicle. dangerously hot inside. As far as Im concerned, the heat sensing unit is more important than a bullet-proof vest for the dog, McCaffrey said. K-9 Falls Township K-9 Police Officer Jim McCaffrey has a smaller version temperature alert system in his vehicle while at the Grange Fair. There was a police K-9 demonstration at the Grange Fair in the main horse arena where Falls police and others demonstrated to the crowd how police dogs work. K-9 Bristol Township Police Officer Steve Sanocki who is portraying as a criminal is subdued by Falls Townships K-9 Thor during a demonstration at the Grange Fair Thursday. Criminals in Jenkintown, Montgomery County, and Philadelphia beware. Rocky and Chance are well dressed and ready for action, thanks to Jynx and Arez. 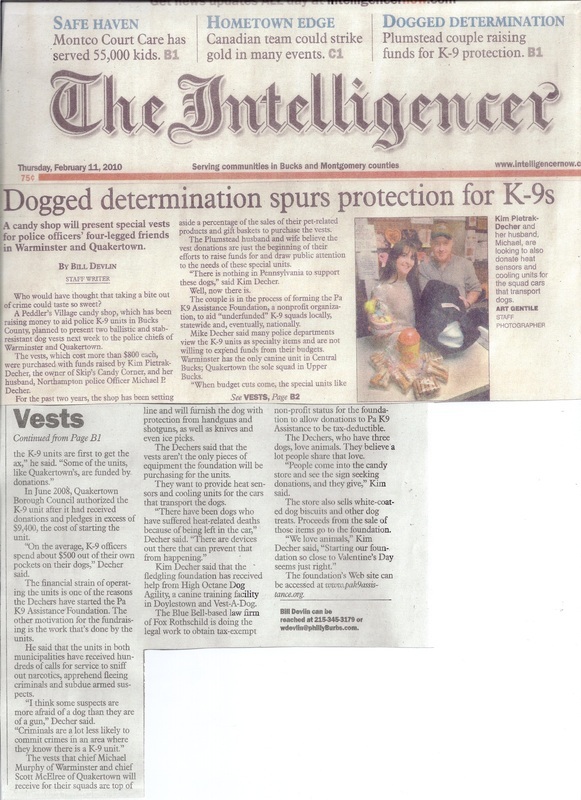 In January, we ran a story about Sheriff Eric J. Weaknecht's K-9 officers donating two used bulletproof vests to the PA K9 Assistance Foundation. The dogs gave theirs up after the Animal Rescue League of Berks County provided two new vests that were better. Why not? The used vests were in excellent condition. Mike Decher, a police officer in Northampton Township, Bucks County and operator of the foundation, recently emailed me to let me know what happened to the donated vests. Rocky, partnered with Jenkintown Police Sgt. Rick Tucker, got a vest to protect him while he sniffs out narcotics, chases down criminals and helps find missing people. Chance, partnered with Philadelphia Officer Barry Delagol, got the other to protect him while he sniffs out explosives and apprehends criminals. Both are German shepherds, just like Jynx and Arez. From left, Berks County Deputy Kyle Pagerly and canine partner Jynx; Michael P. Decher, PA K9 Assistance Foundation; Berks Sheriff Eric J. Weaknecht; and Deputy Danny Voorhies and canine partner Arez. Hand-me-downs are not usually welcomed enthusiastically by the recipients, but will be by one exclusive group that's quite particular about what their members wear. The donors are named Jynx, who specializes in explosives detection, and Arez, who specializes in narcotics detection. They work for Berks County Sheriff Eric J. Weaknecht. The recipient is the PA K9 Assistance Foundation. Jynx' partner, Deputy Kyle Pagerly, said the Animal Rescue League of Berks County provided two new bulletproof vests for Jynx and Arez, handled by Deputy Danny Voorhies. The new ones are a better model than what they had, but the old ones are still in excellent condition and would keep two other dogs safe, Pagerly said. "Funding is tough, especially for K-9 (units)," he said. "They require a lot of equipment, and it's expensive. Anything they can get for free is going to help a department." Weaknecht said Berks is fortunate because all the food is donated for Jynx and Arez, and the county receives donations such as the vests. The county commissioners are supportive and provide the rest of the money in his budget, he said. Michael P. Decher, a police officer in Northampton Township, Bucks County, and operator of the nonprofit foundation, said other departments are not so lucky. K-9 is considered a specialty unit, and usually takes the first hit during budget cuts, he said. He said his own department was planning to re-establish a K-9 unit, but backed off when he already had raised enough money to buy vests for two dogs. So last year he set up the foundation as sort of a clearinghouse for collecting donations and using the money to buy K-9 units whatever they need, including heat sensors that alert handlers if the temperature or carbon monoxide level inside their vehicles gets too high for the dogs. "There's no other organization that does what we do," Decher said. "If they need a lead, we'll get them a lead. If they need a harness, we'll get the harness." Decher stays in touch with the dog handlers via a Facebook page. Pagerly was one of the first to become a regular follower, so he knew what to do with the hand-me-downs. "It feels good to help a department that can't afford something for a handler or a dog," he said. "Mike Decher will make sure they get to the right organizations. He works for the whole state." A candy shop will present special vests for police officers' four-legged friends in Warminster and Quakertown. Who would have thought that taking a bite out of crime could taste so sweet? chiefs of Warminster and Quakertown. The vests, which cost more than $800 each, were purchased with funds raised by Kim Pietrak-Decher, the owner of Skip's Candy Corner, and her husband, Northampton police Officer Michael P. Decher. For the past two years, the shop has been setting aside a percentage of the sales of their pet-related products and gift baskets to purchase the vests. the needs of these special units. "There is nothing in Pennsylvania to support these dogs," said Kim Decher. The couple is in the process of forming the Pa K9 Assistance Foundation, a nonprofit organization, to aid "underfunded" K-9 squads locally, statewide and, eventually, nationally. Mike Decher said many police departments view the K-9 units as specialty items and are not willing to expend funds from their budgets. Warminster has the only canine unit in Central Bucks; Quakertown the sole squad in Upper Bucks. 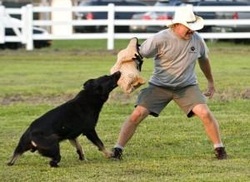 "When budget cuts come, the special units like the K-9 units are first to get the ax," he said. "Some of the units, like Quakertown's, are funded by donations." In June 2008, Quakertown Borough Council authorized the K-9 unit after it had received donations and pledges in excess of $9,400, the cost of starting the unit. "On the average, K-9 officers spend about $500 out of their own pockets on their dogs," Decher said. The financial strain of operating the units is one of the reasons the Dechers have started the Pa K9 Assistance Foundation. The other motivation for the fundraising is the work that's done by the units. criminals and subdue armed suspects. "I think some suspects are more afraid of a dog than they are of a gun," Decher said. "Criminals are a lot less likely to commit crimes in an area where they know there is a K-9 unit." The vests that chief Michael Murphy of Warminster and chief Scott McElree of Quakertown will receive for their squads are top of line and will furnish the dog with protection from handguns and shotguns, as well as knives and even ice picks. The Dechers said that the vests aren't the only pieces of equipment the foundation will be purchasing for the units. They want to provide heat sensors and cooling units for the cars that transport the dogs. "There have been dogs who have suffered heat-related deaths because of being left in the car," Decher said. "There are devices out there that can prevent that from happening." Kim Decher said that the fledgling foundation has received help from High Octane Dog Agility, a canine training facility in Doylestown and Vest-A-Dog. The Blue Bell-based law firm of Fox Rothschild is doing the legal work to obtain tax-exempt non-profit status for the foundation to allow donations to Pa K9 Assistance to be tax-deductible. The Dechers, who have three dogs, love animals. They believe a lot people share that love. "People come into the candy store and see the sign seeking donations, and they give," Kim said. The store also sells white-coated dog biscuits and other dog treats. Proceeds from the sale of those items go to the foundation. "We love animals," Kim Decher said, "Starting our foundation so close to Valentine's Day seems just right." The foundation's Web site can be accessed at www.pak9assistance.org. Bill Devlin can be reached at 215-345-3179 or wdevlin@phillyBurbs.com. 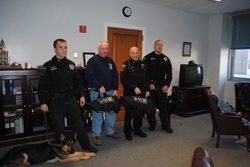 PA Police K9 Teams receive Level 2 Ballistic Vests as a gift. 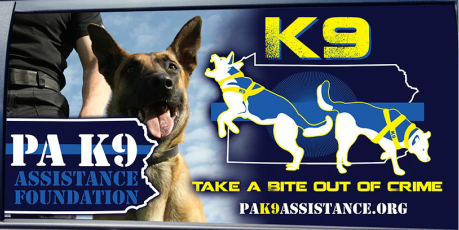 PA K9 Assistance non-profit is forming to help Police K9 Teams. 2 Pennsylvania K9 teams will receive ballistic vests for Valentines Day, instead of candy. Lahaska, PA, February 11, 2010: Two Bucks County Police Departments will receive donations of ballistic vests for their K9 Officers. K9 Teams from Quakertown Borough and Warminster Township will receive the ballistic and stab resistant vests as the result of a sales campaign by the owners of Skip's Candy Corner, shop #27, in Peddlers Village, Lahaska PA.
For the last two years, Skip's Candy Corner has been setting aside a percentage of the sales of their pet related products and gift baskets to vest a police k9. 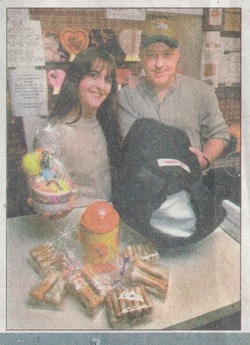 In researching the needs of several local Police Departments, store owner Kimberly Pietrak-Decher and her husband, who is also a Police Officer, Michael Decher, have made it their mission to provide ballistic vests and other much needed safety and training equipment for established K9 teams in need throughout Pennsylvania. With the assistance of friends from High Octane Dog Agility, Vest A Dog, and Fox Rothschild, LLC, they have initiated the formation of a non-profit organization under the name of the Pa K9 Assistance Foundation. The mission of the Pa K9 Assistance Foundation is provide under funded K9 teams with needed safety and training equipment that is necessary or will aid them in the performance of their important jobs. Donations from generous individuals, groups, businesses or organizations will be accepted and sought out to fund this foundation. Departments with K9 teams in need will be located by members of the foundation to provide assistance with obtaining the equipment or necessary training vital to keeping the citizens and Police Officers in our communities safe.